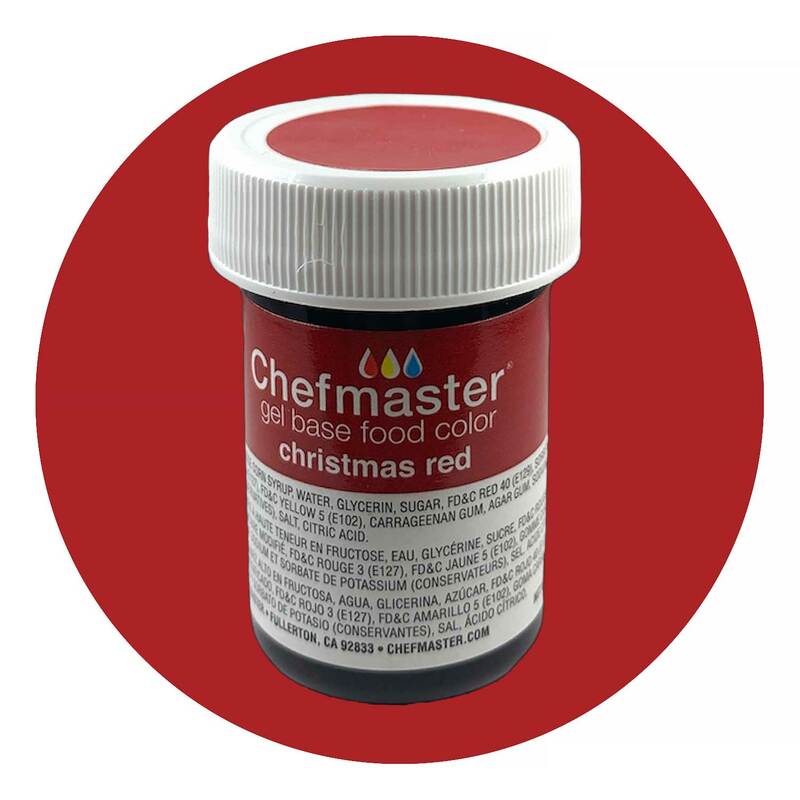 Brand: Chefmaster CFM-7374 Units: 1 oz. jar This food color can be lighter or darker, depending on the amount of color put in. Mix in a small amount of food color at a time until desired color is achieved. Although the color picture shown is as close as possible to color achieved with this food color, there may be a slight difference as computer monitors may vary. Food coloring is good for at least a year, usually much longer. This food color can be lighter or darker, depending on the amount of color put in. Mix in a small amount of food color at a time until desired color is achieved. Although the color picture shown is as close as possible to color achieved with this food color, there may be a slight difference as computer monitors may vary. Food coloring is good for at least a year, usually much longer. Ingredients: Water, Glycerine, Corn Syrup, High Fructose Corn Syrup, Sugar, FD and C Red 40 (E129), Modified Food Starch, FD and C Red 3 (E127), FD and C Yellow 5 (E102), Carrageenan Gum, Agar Gum, Sodium Benzoate (Preservative), Potassium Sorbate (Preservative), Salt, Citric Acid.